After losing his restaurant, chef Clay Maguire must start his career all over…at the bottom. Pushing forty with no “corporate skill-set”, Clay enters the strange world of the Unemployable Interviewees of America striving for dignity, success, or at least a job taking customer service calls from prison inmates for minimum wage. 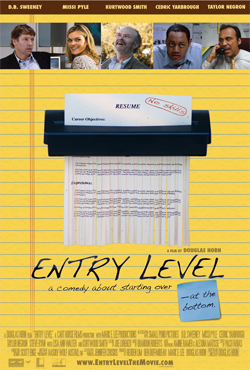 A hilarious, insightful look at job interviews, finding the courage to start all over, and life at the ENTRY LEVEL.